One should realize that even if a phrase’s source is the sacred books of a certain religion, if its use as a phrase or idiom freely crosses religious lines, it does not represent that religion. One can prove this from our own religious texts, l’havdil elef havdalot. One should not write three words from the Torah without underlining the scroll. Yet, the Shulchan Aruch (Yoreh Deah 284:2) allows doing so if the words are used as an idiom, not as a reference to the ideas as found in the Torah. Also, one can recite phrases from the Torah in a non-Torah context before reciting birkat hatorah (Mishna Berura 47:4). Similarly, phrases that emanate from other religions should be able to be removed from their context and status. Let us summarize. One can be respected for avoiding non-Jewish cultural associations in strict adherence to the spirit of the laws of chukot hagoyim. Yet, many of us legitimately value the advantages of integration, to the extent permitted by halacha, in the general society of our origin, which has strong roots in other religions. At least when using society’s standard phrases does not conjure up thoughts of the tenets and texts of other religions, it is permitted. We purposely left out examples. Why should we cause the power of suggestion to make people self-conscious about common phrases that good Jews use without giving a second thought to their origin? The Jewish Standard has an article (link) in which it announces that Eretz Hemdah has published an English book with its collected "Ask the Rabbi" questions and answers under the title Living The Halachic Process: Questions and Answers for the Modern Jew. This week we will have a "blue moon". See here for the definition of it: Two full moons in the same solar month. And see here for the Wikipedia entry. I was feeding my 10-month old today and put a bunch of macaroni on his tray. He picked up a handful and shoved it in his face. One piece went into his mouth and the rest fell onto his bib. He then repeated the exercise with only one piece going into his mouth and the rest onto his bib. I told him, "Pasta merubah lo pasta" but he didn't appreciate the pun. I live a few blocks from an auto mall, with various car dealerships and their service centers. Recently, due to the increased Jewish presence in the community, the dealerships have opened on Sundays. They made a big deal about this and hung up signs in English and Yiddish about how they are opening for us out of friendship (which, of course, is not true; they just want our business). The funny thing is that most people in the neighborhood have such limited Yiddish abilities that they knew what the Yiddish signs said because of the English translation. I noticed a week or two ago that all but one of the Yiddish-English signs have been replaced with Hebrew-English signs, which at least for me is much more understandable. It could have been worse. They could have put up Yiddish signs for a Sephardic community. The Gemara in Shabbos (31a) tells the story of how a Gentile wished to convert but stated that he only believed in the Written Torah but not the Oral Torah. Shammai sent him away but Hillel converted him and then convinced him about the Oral Torah. Rashi (sv. geireih) explains that the convert did not reject the Oral Torah but just did not believe in it (שלא היה כופר בתורה שבעל פה אלא שלא היה מאמין שהיא מפי הגבורה). What does that mean? Either he did or did not believe in it. R. Yosef Engel, in his Gilyonei Ha-Shas ad loc., quotes the Chiddushei Gur Aryeh who suggests based on this Rashi that one who rejects the Oral Torah is not considered a heretic. Otherwise, how could Hillel have converted a heretic? R. Engel disagrees and explains that one can only be a heretic if he knows the Torah and then rejects it. This Gentile had never learned the Torah properly and therefore could not be considered a heretic for rejecting it. See the Rashash's glosses for a similar approach. R. Norman Lamm, in his classic essay "Faith and Doubt" (recently reprinted in a new edition of Faith & Doubt, pp. 16-17), has an explanation that does not go as far as the above. He suggests that this Gentile had doubts but not full-fledged disbelief. Someone who believes to the contrary of a fundamental belief is a heretic but someone who merely has doubts does not reach the status of a heretic. And it was this part of the Torah that G-d had to force upon us. Whether we like it or not, G-d expects us to follow the positions set forth by the rabbis in interpreting the Torah. Not until years later, after the story of Purim occurred, did the Jewish people as a whole fully accept this aspect of rabbinic authority. It was at that time that Ezra and the Anshei Kneses Hag'dolah set up the entire system of the Torah sheb'al peh as we know it today. They formulated the text for all blessings and prayers, kiddush and havdalah, the system of thirty-nine categories of melacha, etc., along with many rabbinic enactments. Klal Yisroel at the period of the beginning of the second temple wholeheartedly accepted all of these formulations and innovations of their rabbonim. See essays by Rav Moshe Zvi Neriah in Meorot Neriah, Purim, pp. 164-171. 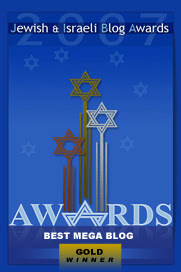 The JIB results are in and Hirhurim came in first in the categories of Best Jewish Mega Blog and Best Torah Blog, and third in the category of Best Jewish Religious Blog. Thank you all for your support. let me start off by saying that i read The Jewish Press every week, and i really enjoy it. however, i was surprised to read something that isn’t true. i am referring to the Tales from our Gaonim from the May 14th issue. you quote the Taz asking "I know words that contain nine letters but where in the Bible do we find a Hebrew word that contains 10 letters?" , and you quote the daughter of the Bach responding to this question that "in the Torah itself there is no such word, but in the Book of Esther we do find the word Veha’achashdarpenim, which contains 11 letters". that is not true - there is a 10 letter hebrew word in the Torah - in Chumash Shmos, Perek 7, Posuk 28 - namely Uvimisharosecha. if the story happened, i’m sure the question was where do we find a word that contains MORE than 10 letters (since the Rambam said "10 letters, or more or less", and the Taz must have been questioning the "or more"), and then the answer would be correct that in the Torah itself there is no such word that has MORE than 10 letters, but in the Book of Esther there is. i’m looking forward to your clarification on the subject. It has been a long, winding road from the euphoria of 1967. If it has taken us from Deuteronomy's warnings about invincibility to Proverbs' warnings about humility, then the painful journey will have been worthwhile. R. Shalom Dov-Ber Wolpo (Shemen Sasson me-Haveirekha [Holon, Israel, 5763], p. 186) reports that R. Ephraim Wolf wrote to the Lubavitcher Rebbe that the former president of Israel, Zalmen Shazar, told him that Soloveitchik, whom he met in his hotel in New York City, mentioned that he had met both R. Schneersohn, the future Lubavitcher Rebbe, and Heschel in Berlin. Professor Haym Soloveitchik (telephone conversation, March 16, 2004) told me that his father told him that he only saw the future Rebbe pass by. My wife's uncle, Zvi Kaplan of Jerusalem, told me that R. Yitshak Hutner told him that he was with the future Rav and Rebbe together at a lecture on Maimonides at the university (apparently in 1929). After the lecture, when the professor approached Schneersohn for his opinion, he deferred to Soloveitchik. In any case, in Berlin both Heschel and Soloveitchik maintained relations with R. Hayyim Heller, R. Jehiel Weinberg, and Professor Eugene Mittwoch. R. Fabian Schoenfeld (telephone conversation, March 21, 2004) recalls seeing Heschel in the 1960s at two of Soloveitchik's yahrzeit lectures for his father in Lamport Auditorium of Yeshiva University. Haym Soloveitchik recalls that in 1962-1963 he saw the two together twice in his father's Yeshiva University apartment and heard of a third meeting from his mother, who was at all three. He also recalled (telephone conversation, June 23, 2004) that R. Heschel consoled R. Soloveitchik in 1967 when he was sitting shiv'ah for his mother in her or his brother's apartment in New York. Heschel's daughter, Professor Susannah Heschel, e-mailed me that she recalls Soloveitchik visiting her father in their home in the mid- or late 1960s and that he paid a shiv'ah call when Heschel died (Shabbat night, December 23, 1972). I see that the Solomon Schechter High School in Teaneck is in danger of closing down (link). All I can say is that if there had been a Schechter high school in Teaneck when I was growing up then I almost certainly would have gone there instead of an Orthodox high school, and this blog (among other things) would never have existed. I can't say whether the community as a whole would be better off without such a school but I know that I am. R. Moshe Chaim Luzzatto discusses chumros, stringencies in Jewish law, twice in his book Mesillas Yesharim in very different contexts: in chapter 4, while discussing the ways of acquiring the trait of zehirus (watchfulness), the first and lowest of the traits discussed in the book; and in chapter 14, while describing the different aspects of the trait of perishus (asceticism). The question is why R. Luzzatto discusses the same topic as being part of two very different religious traits. 1. Behaving strictly when one is unsure what the law is. 2. Following minority opinions that are stricter than the established law. Part of the trait of zehirus is to be strict when one is unsure either of what the conclusion is of a legal discussion or how to apply the law in a particular case. But if one knows that halakhah permits an act, even if there is a debate about it but a definitive pesak has been given to you, then even someone who has mastered the trait of zehirus may perform it. Perishus is going beyond the law. One refrains from something that is technically permitted due to perishus, asceticism. Even though a legal debate has been concluded in favor of permitting this act, an ascetic (a parush) may choose to be strict for a minority opinion. I think it should be clear from the Mesillas Yesharim that this latter attitude should not be dismissed or frowned upon. However, it is a form of asceticism and should, presumably, be accompanied with the other forms of asceticism mentioned in the same chapter. Regarding what you said about whether the world will be destroyed or not, and that your view is that it will not, and that you condemned those who say that it will and consider them to be ignorant fools. What will we do since this is the view of the Sages? They said, "The school of Eliyahu taught: The world will be for six thousands years and then destroyed for a thousand, as it says 'And the Lord alone will be exalted on that day' (Isa. 2:11)." This is mentioned in a number of places by the sages (Rosh Hashanah 31a; Sanhedrin 97a; Avodah Zarah 9a). And if the Rambam (Moreh Nevukhim 2:28) does not share this view and explains the explicit verses according to his approach, the Ramban (Kisvei Ha-Ramban, vol. 1 pp. 159-160) relies on the words of the sages and agrees that the world be destroyed. And know that one who believes that the world was not created contradicts the Torah, and every Jew is obligated to believe it. But whether or not it will be destroyed in the future does not damage one's beliefs as long as one agrees that God has the ability to do this and that it depends on His will. Just like he created it from absolute nothing he can destroy it. His ability is even more evident from His creating it than from His dismantling it. A verse that teaches this [the eventual destruction of the world] and cannot be explained otherwise is: "Of old You laid the foundation of the earth, And the heavens are the work of Your hands. They will perish, but You will endure; Yes, they will all grow old like a garment; Like a cloak You will change them, And they will be changed. But You are the same, and Your years will have no end." (Ps. 102:26-28) Therefore, everything in existence will perish except for the True Existent whose existence is necessary. And even though there are commentators who explain "They will perish" as meaning if God so desires, and others explain it to refer to specifics, these are forced because according to these explanations why would it say "But You are the same, and Your years will have no end" if the heavens will exist forever... Therefore, what is revealed from this verse is the truth according to my view, but you believe whatever you want. Yes, the Rambam does take the opposite view, so there are sages on either side of the debate. But the Rashbash thinks that the Rambam rejects the talmudic and scriptural view on this subject and still allows it. Torah in Motion is having the following lecture. Rabbi Dr. Zvi A. Yehuda, chavruta of the Hazon Ish during the 1940's. Rabbi Dr. Tzvi Yehuda learned b'chevruta (study partner) with the Hazon Ish zt"l from 1944-1952. We are most fortunate that he will share with us a personal look at his revered teacher and his immense influence. Rabbi Yehuda lives in Boca Raton Florida where he gives a daily shiur at the Boca Raton Synagogue. Regarding the second half of the verse, Rashi quotes the Sifra that asks how a person can be punished for his ancestors' sins. The Sifra explains that one is only punished when one continues in the sins of one's ancestors. Then, even the punishment for the ancestors' sins are brought upon a person. However, Rashi seems to deduce this not from the thelogical question and scriptural contradiction (with Deut. 24:16) but from the word "אתם - with them". He seems to place that word with the former phrase rather than the latter, as translated above (in the New King James version), meaning that the ancestors' sins are with them rather than that they will languish with them. The difficulty raised about this is that the cantillation notes (trop) connect this word with the latter phrase and not the former (see R. Eliyahu Mizrachi's supercommentary on Rashi). Wessely considered this interpretation a bit forced, yet he did not dismiss it entirely. He merely invested the rabbinic phrase "if they cling to the deeds of their fathers" with a new meaning: if the children of sinful parents are inclined to repeat the evil acts of their forebears, they will be punished, even though they did not actually commit the acts. For God, "who searcheth the hearts," knows that the evil desires they harbor would cause them to sin, should the opportunity present itself. To cling to the deeds of their fathers is understood by Wessely to mean being predisposed to imitate their fathers. Divine justice is meted out because of God's knowledge of how the children would act in certain circumstances. The meaning of the verse is therefore perfectly clear: the children do bear the natural consequences of the supernatural retribution decreed upon their fathers because of severe iniquities. R. Ya'akov Tzvi Mecklenburg, in his Ha-Kesav Ve-Ha-Kabbalah, was clearly influenced by this discussion and quotes someone he calles RSh"P. He then offers his own explanation: "אבתם - fathers" comes from the root "אבה" which means desires. People in that situation are punished for their desires to sin even if they did not turn them into action. When asked to assess executives based on characteristics other than their professional qualifications, 97 percent of U.S. executives, 86 percent of U.K. executives, 85 percent of German executives, and 69 percent of French executives said ethical behavior was extremely or very important. For the U.S. and U.K. executives, ethical behavior topped the list of key attributes for an executive. Learn more about business ethics in R. Aaron Levine's Moral Issues of the Marketplace in Jewish Law. Kudos to The Commentator and Zev Eleff in particular for creating this series. Commie: Even assuming that the laypeople would subscribe to halakha in the sense that the Conservative Movement views it, is that a movement which is really so different from the "Open Orthodoxy" espoused by Rabbi Avi Weiss? If not, what is the need for a Conservative Movement? JR: If Open Orthodoxy is not radically different it's because they're really Conservative. I know they may reject such a claim. The truth is though if they're not radically different it's because they are in fact behaving the way the Conservative movement has always advocated. They're on their guard against being thrown out of the Orthodox world. They're being very careful to make sure that the world doesn't consider them to be conservative. Yes, he did go there. 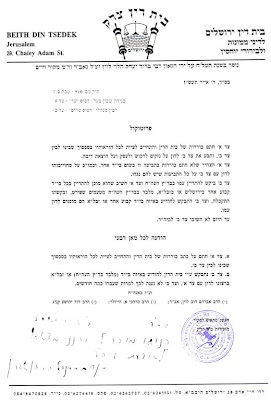 I've been informed that there is a pashkevil against Yashar Books (Defus Yashar) on Rechov Meah Shearim in Jerusalem. I'd greatly appreciate it if anyone can get a good picture of it or, even better, an actual sign. Rabbi Abraham ben Meir ibn Ezra was one of the outstanding personalities produced by medieval Andalusian Jewry. He was a noted poet, mathematician, astrologer, grammarian, and philosopher. However, above all Ibn Ezra was one of the greatest Bible commentators of all time. Ibn Ezra's commentary on Psalms is part of the important intellectual bequest that this great medieval scholar left behind. It, along with the other works produced by the great minds of Israel, is part of the great "inheritance of the congregation of Jacob." Death is a false illusion; its defilement is due to its deceptive nature. What people call "death" is in fact the intensification of life. Because man wallows in pettiness, he pictures this increase of life in a pained, black fashion, which he calls "death." The kohanim in their holiness are able to rise above this falsehood. Yet, falsehood and deception rule over the world. In order to overcome the illusion of death, the kohanim must limit their exposure to death. They need to protect themselves from those images that impress the soul with deceiving messages. We call upon members of the RCA to encourage awareness of these issues with their constituencies so as to facilitate detection of abuse in our community. The Gemara (Berakhos 4b) states that one should preface the Shemoneh Esreh with the verse "ה' שפתי תפתח... O Lord, open my lips; and my mouth shall declare Your praise" (Psalms 51:17). If you look in most prayerbooks, there is another prefatory verse that precedes this -- "כי שם ה' אקרא... For I will proclaim the name of the Lord; acknowledge the greatness of our God" (Deut. 32:3). * However, this verse only appears prior to the Mincha (afternoon) and Mussaf (holiday additional) services. But it does not appear prior to the Shacharis (morning) and Ma'ariv (night) services. Why is this? I came up with the following theory many years ago, which I later discovered to be explicit in the commentaries on Shulchan Arukh (Orach Chaim 111:1): The same Gemara that mentions the practice of beginning Shemoneh Esreh with Ps. 51:17 asks how it is permissible to do so. Is there not a concept of being somekh ge'ulah li-tefillah, directly connecting the the Shema's message of redemption with the prayer of Shemoneh Esreh? If so, one should not be allowed to say anything other than words of prayer, so as not to interrupt the continuation. The Gemara answers that since Ps. 51:17 was added to the Shemoneh Esreh, it is considered an extension of the prayer and therefore not an interruption. But it does not say that about Deut. 32:3. Therefore, in Shacharis and Ma'ariv, when we recite Shema (and its blessings) and then proceed directly into Shemoneh Esreh, we cannot interrupt with an extra verse. But in Mincha and Mussaf, when we do not recite Shema and there is therefore no problem of interrupting, one may add this extra verse. The Rav [R. Joseph B. Soloveitchik]'s custom was not to say the verse כי שם ה' אקרא (Deuteronomy 32:3), prior to the Shemoneah Esrei of Mussaf or Minchah, since the practice to recite it is not found anywhere in the Gemara, as noted by the Vilna Gaon in Beur HaGra to Orach Chaim 111:1, s.v. ולא בשום (R' Menachem Gopin; see also Nefesh HaRav, p. 152). In fact, Dr. Seligmann Baer's Siddur Avodas Yisrael does not have the verse printed in front of Shemoneh Esreh at all. Avakesh has an interesting post on shi'urim, the size requirements for mitzvos, i.e. 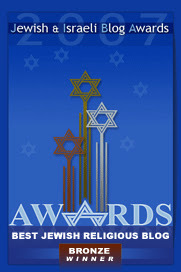 how much matzah must one eat in order to fulfill the mtizvah (link)? In the late 18th century, R. Yechezkel Landau noticed that when comparing the Talmudic measurements based on the size of thumbs and those based on the size of eggs, there was a significant discrepancy. His conclusion was that the size of eggs had shrunk in half since the time of the Talmud (Tzelach, Pesachim 116b). Therefore, he concluded, we can calculate the approriate Torah measurements by using eggs and then doubling the size. Thus, the minimum amount of matzah is one olive's volume, which is half of a Talmudic egg. This would equal the volume of a full egg today. 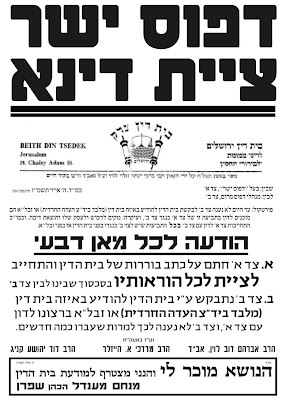 This was also accepted by his contemporary the Vilna Gaon (Ma'aseh Rav 74, 105) and has been accepted by many sages throughout the intervening years, most notably the Chazon Ish (Hilkhos Shabbos no. 39) and the Mishnah Berurah (271, Bi'ur Halakhah). However, there have been those who disagree. Perhaps most prominent among them was R. Avraham Chaim Na'eh in his important work Shi'urei Torah, who defended what was at the time the custom in Jerusalem to use the smaller measure rather than the double measure. The Chasam Sofer (Orach Chaim 181) and the Aruch Ha-Shulkhan (Yoreh De'ah 324:10; Orach Chaim 168:13) also rule that we need not be strict on this. Professor Greenberg responded with more and additional evidence and a reinterpretation of the Talmudic term on which everything was based. This term is rochav agodal. Interestingly, R. Eliezer Silver (d. 1968), in his book Tzemach Erez (Orach Chaim 486), posthumously published in 1975, offers the same theory. R. Shlomo Wahrman (Oros Ha-Pesach, no. 28), from whose essay on this subject most of the above sources were taken, quotes R. Silver as telling him that R. Meir Simcha of Dvinsk and the Rogatchover Gaon also agreed with this.